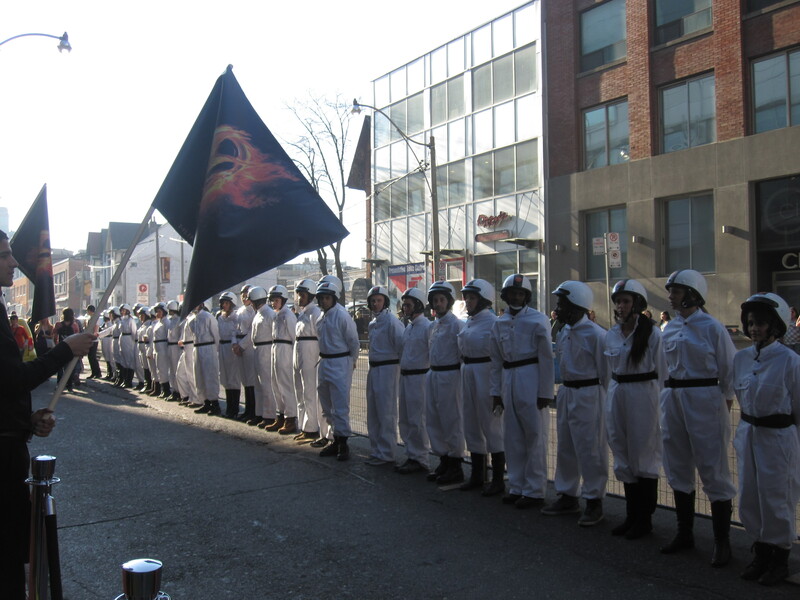 After reading the books and seeing the previews for the film, I knew I had to try to score tickets to the Toronto premiere of Hunger Games at Scotiabank Theatre. The hustle began two months ago and I entered every contest I could find for premiere tickets. I ended up winning tickets in the very last contest I entered through @vivafilm (Alliance Atlantis’ Quebec division) on Twitter, just four days before the premiere, which took place on Monday March 19, 2012. 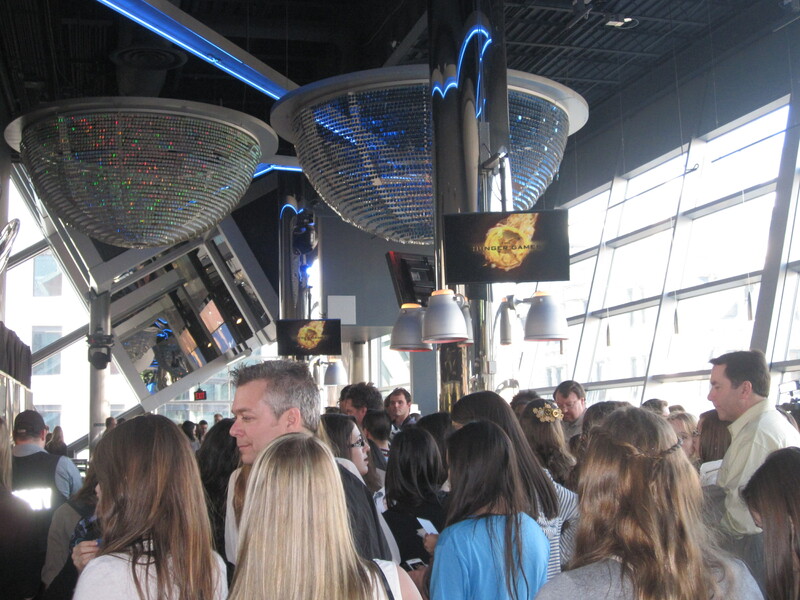 We arrived at the theatre almost two hours before the premiere and there were hundreds of fans outside the theatre and the Muchmusic headquarters, where some of the cast members were making an appearance. There was a lineup snaking around the corner for entry at the Scotiabank Theatre. As I had won tickets directly from Alliance, my friend Priscilla and I marched directly to the front of the line, told them that we won tickets and strolled right in (the power of the guest list!). Security was incredible and all electronic devices were taken from us and put into envelopes. Prior to the start of the movie, Josh Hutcherson, Liam Hemsworth and Alexander Ludwig made an appearance and said hello the crowd. There was a collective shriek from the teenage girls, followed by sighs as no one in the theatre had a phone or a camera to capture the moment. (Yes, we somehow lasted for 5 hours without our smartphones or cameras, which is why I only have two photos to mark the entire experience! Grr!). I enjoyed the movie and I was really happy with the casting. Jennifer Lawrence was terrific as Katniss Everdeen and she played the character with the great balance of strength and vulnerability fans would expect. Another female favourite was Elizabeth Banks as Effie Trinket, as she was perfect in her role as an eccentric PR official (who also had some of the best costumes in the movie). It was such a treat to see Woody Harrelson (Haymitch) and Lenny Kravitz (Cinna) in the movie as well (how does Lenny stay looking so young?!). I was disappointed that they toned down the violence in the film to receive an appropriate rating, only because I felt that the desperation for survival was lost a little. I also wished that they would have included more about the history of the districts and the main characters in the film. The scenery, set design, costumes, makeup and music all came together brilliantly and if you’re a fan of the book series, you will enjoy seeing the books come to life. If you haven’t read the books yet and are planning on seeing it, I would highly suggest that you do, as you will enjoy the movie a whole lot more. Many thanks to Valerie and the gang at Alliance for the tickets! Monsieur Félix & Mr. Norton in Markham + a CONTEST! My husband and I were on our way to brunch in Markham and we were in charge of bringing dessert. 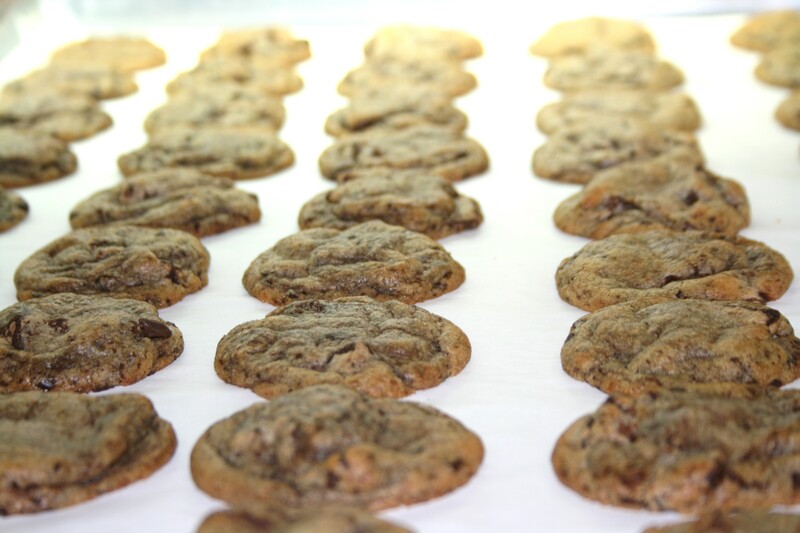 I knew this crowd would be into bite-sized treats and I immediately thought of the delicious, gooey goodness of fresh cookies from Monsieur Félix & Mr. Norton in Markham. 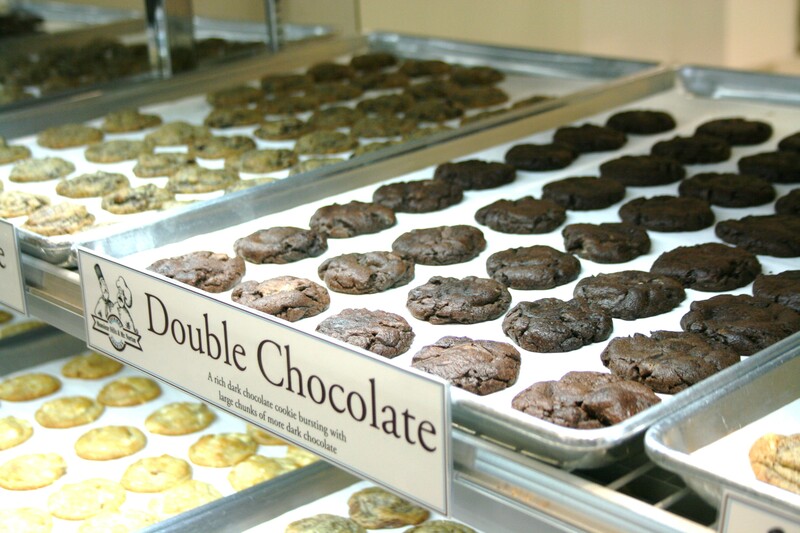 This company has been a part of my life for years and I’ve been buying their scrumptious cookies since I was in my teens. A few years ago, I was looking for something fun and cute to give my fiancé (now husband) at our engagement party. I immediately thought of Monsieur Félix & Mr. Norton`s popular Cookie Bouquet® and I knew it would be perfect. 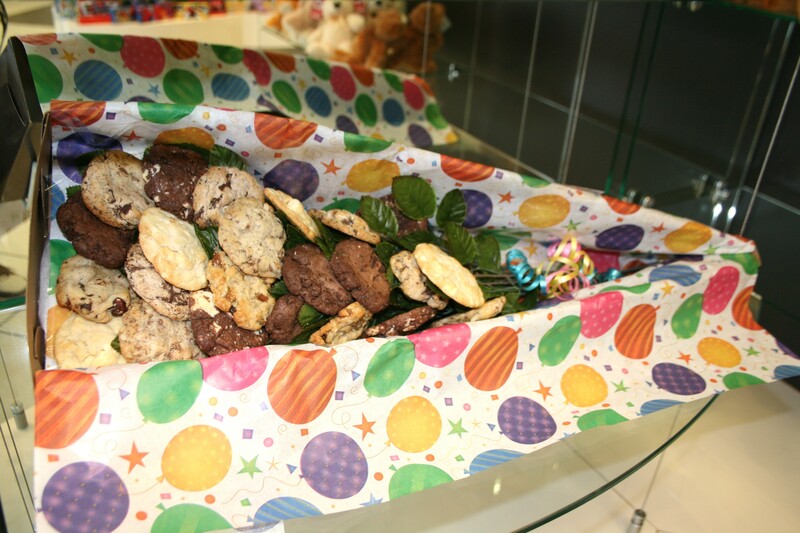 They made up a 24 stem Cookie Bouquet® of his favourite cookies and they were a hit! 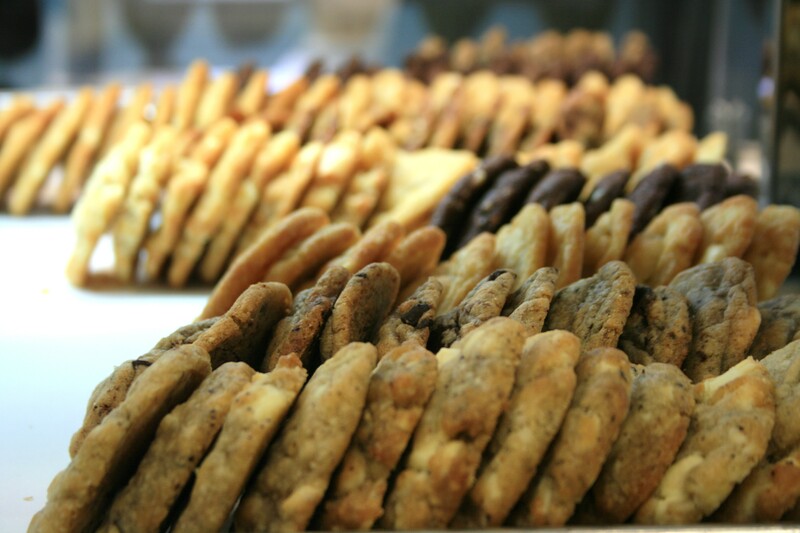 We walked into the shop at about 11 am on a Saturday and the amazing aroma of fresh cookies was in the air. 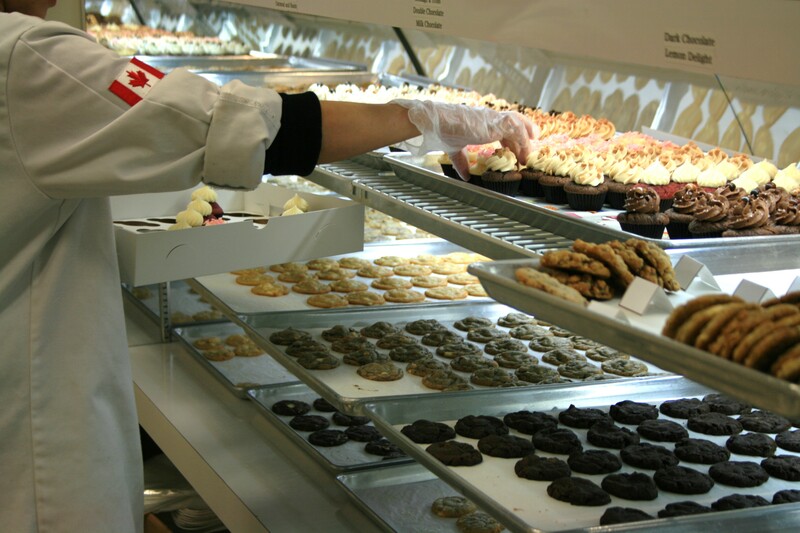 I don’t know about you, but the smell of baked goods makes me weak in the knees and I let out a sigh of happiness every time! We noticed that quite a few things had changed since our last visit. 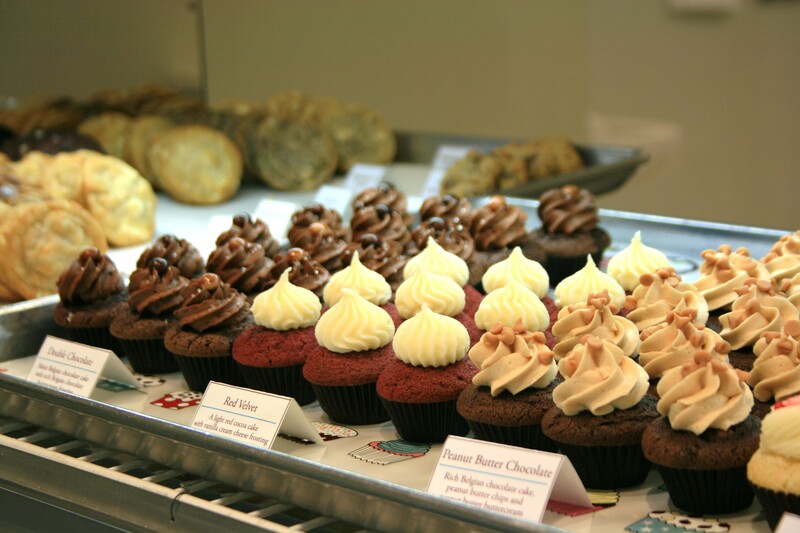 In addition to fresh cookies and fudge, they were now selling…wait for it…CUPCAKES! When we visited, they had Belgian Chocolate, Vanilla Bean, Baileys Mocha, Caramel Crunch, Lemon Coconut, Peanut Butter Chocolate, Red Velvet and Double Chocolate. It was so hard to choose which flavours we wanted to try. I was excited to hear that they change their flavours seasonally, so I’m looking forward to trying their spring and summer cupcakes too. I was so distracted by the cupcakes that I almost forgot about the cookies, their signature product. My favourite flavour is Ménage à Trois®, which contains a yummy blend of milk, white and dark chocolate chunks. My hubby’s favourite is Lemon Delight which is a delicious lemon cookie with white chocolate chunks and candied lemon. 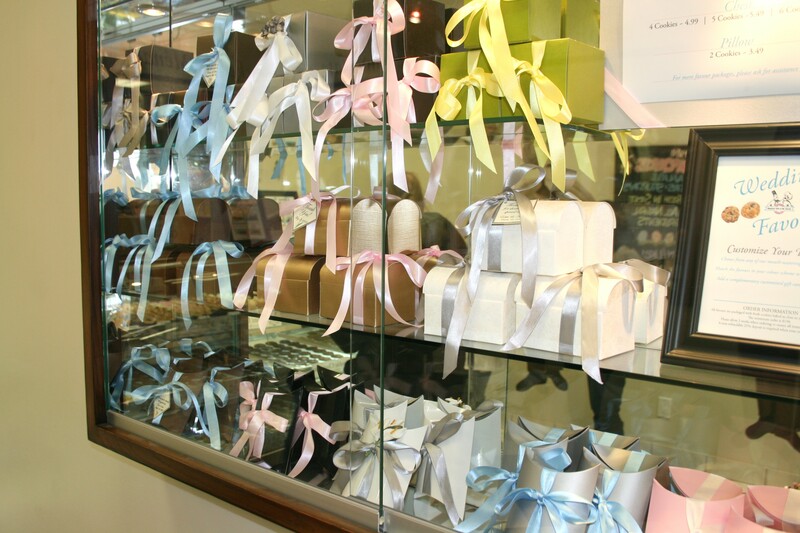 Since my last visit, they’ve expanded their cookie gift packaging selection and they are now selling wedding favours – beautiful little boxes filled with cookies (to my friends who are getting married soon, THIS is THE takeaway gift that guests want!). Thank you Dan, Michele and Amanda for sharing your passion for all things sweet – we came in for cookies but we left with cupcakes too! P.S. Monsieur Félix & Mr. Norton is proudly Canadian and the staff wear beautiful Canadian flags on their chef coats too. 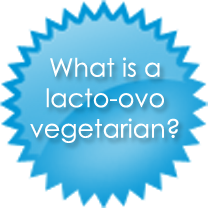 They only use fresh, high quality ingredients in all of their products and it shows. 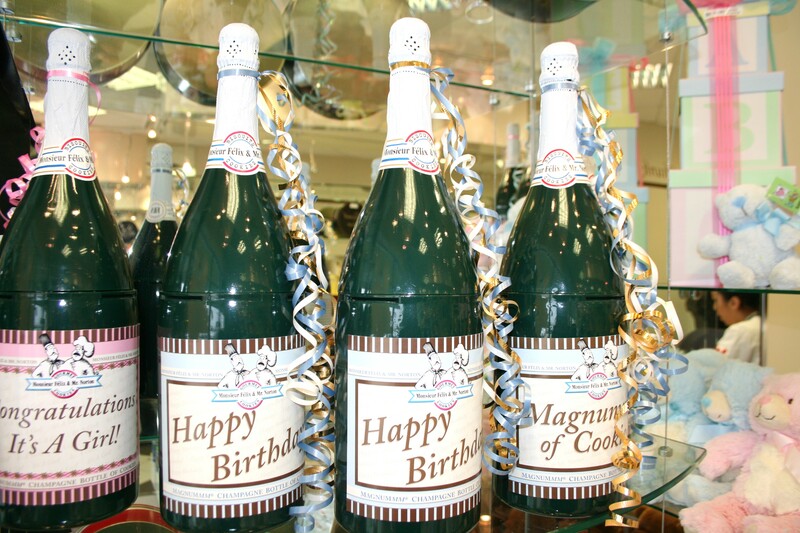 The lovely folks at Monsieur Félix & Mr. Norton are giving away a Magnummm of Cookies® to two readers of Milk & Eggs. 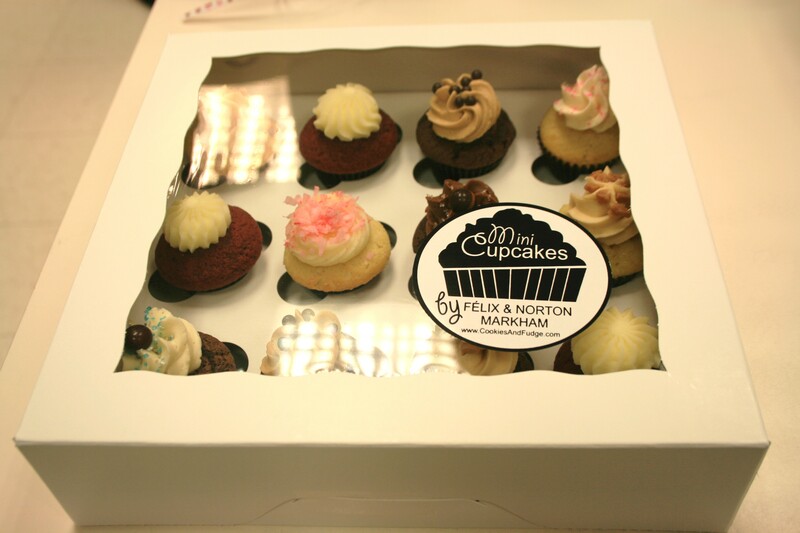 Then, leave a comment on this blog post with the name of any Monsieur Félix & Mr. Norton cookie or cupcake flavours you would like to try. Are you on Twitter and Facebook? Follow all steps above to receive more entries into the contest! 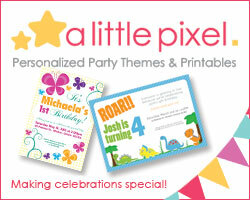 Contest closes on Friday March 23 at 12 pm EST, so get your entries in soon! -You may enter once per day. 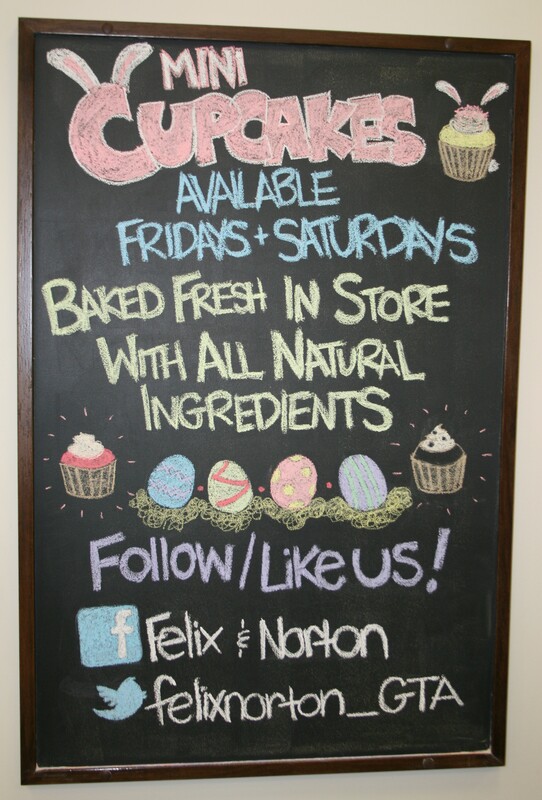 -If you are one of the two winners, you MUST pick up your prize from Monsieur Félix & Mr. Norton in Markham, Ontario. Therefore, you must live in the GTA (Greater Toronto area) or be willing to drive to Markham. Congrats to @_Lenito from Twitter and Fiona Thom from Facebook for winning the #FelixNorton contest! 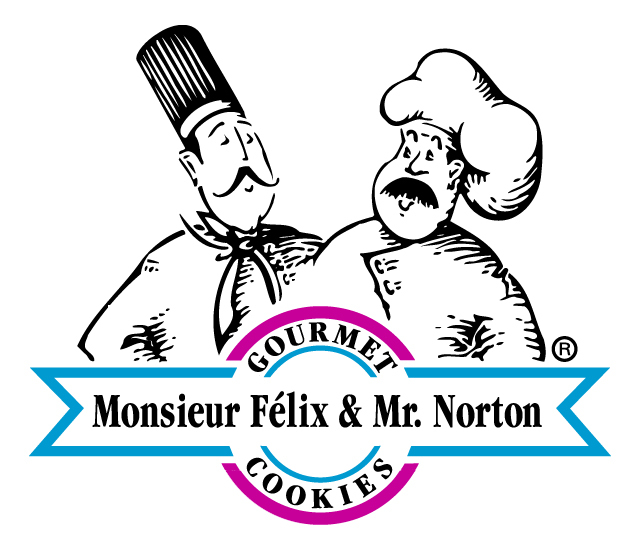 You’ve each won a Magnummm of Cookies® from Monsieur Félix & Mr. Norton!